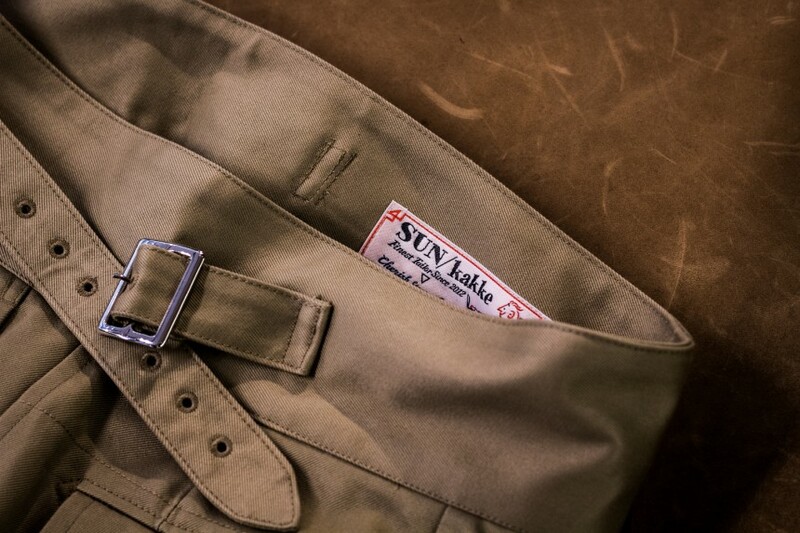 The following the article “Wallet Pants from TEATORA @MAIDENS SHOP,” here is another up-coming Tokyo mens brand: SUN/kakke. 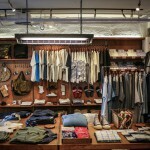 SUN/kakke was established by Yuhi Ozaki in 2012 who is a founder of FilMelange. 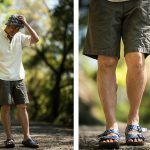 Its concept is offering high quality garments without compromises, based on what he believes is important; crating beautiful clothes carefully, hand-making, joy of wear, dressing up, clothes for special occasions, being not zero‐sided, being not four‐sided, and well‐proportioned gorgeous figure which is a Sun/kakke (triangle in Japanese). 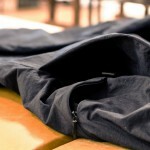 Having knowledge, experience and passions, it manufactures clothes for fashion addicts. 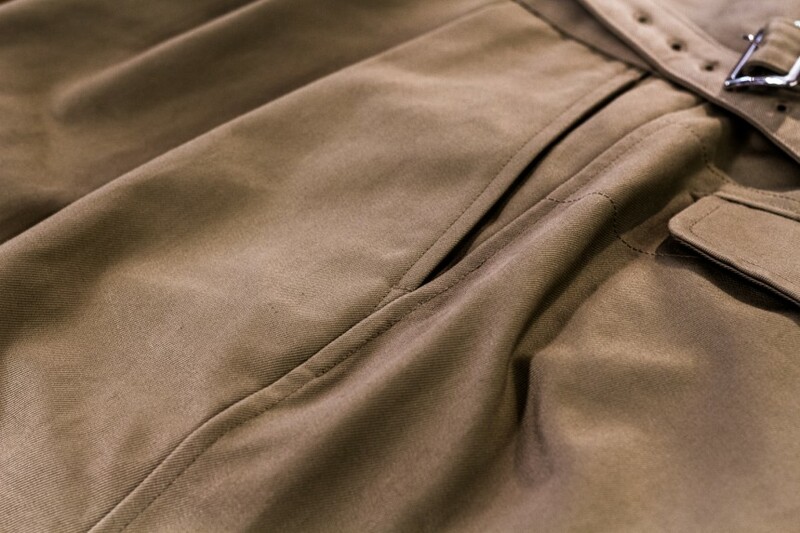 SUN/kakke’s Gurkha shorts reflect its manufacturing well. 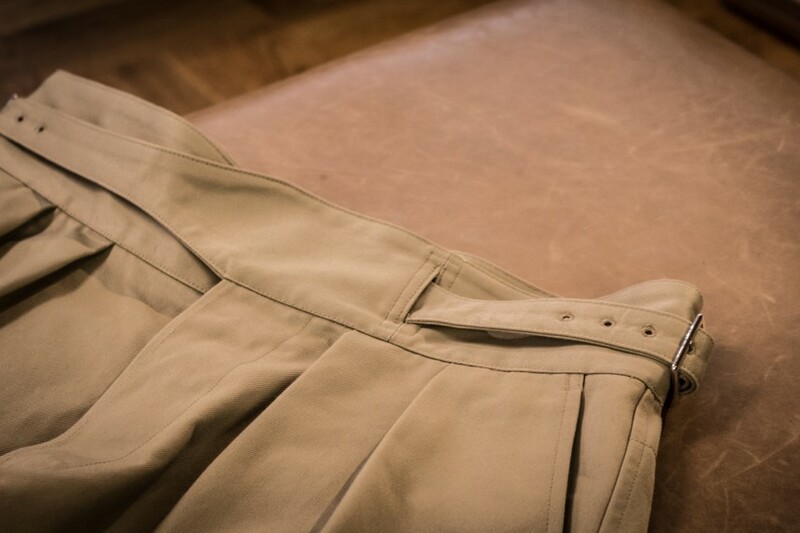 The shorts are reproduced focusing carefully on every details but using modern construction techniques. For example, Egyptian cotton, the top quality cotton in the world that gives fabric smoothness and durableness, is used for the outer fabric. Additionally, silk is employed as their liner. 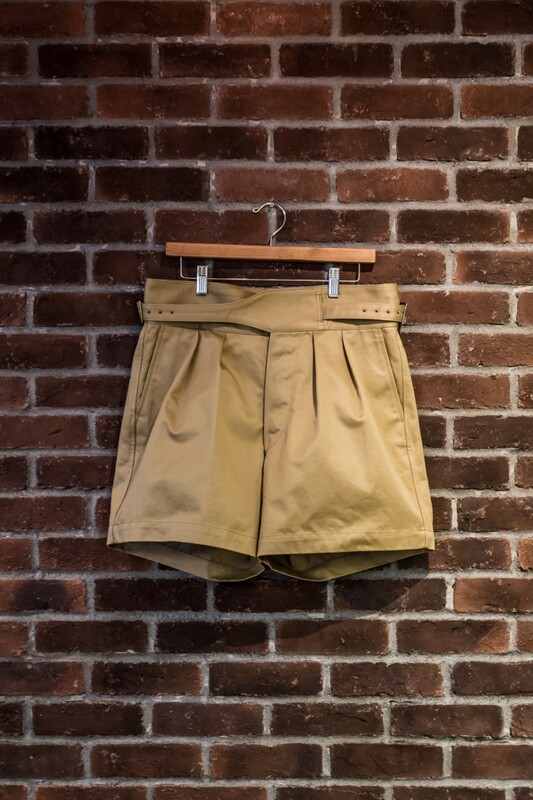 These modern elements make casual vintage-looking Gurkha shorts gorgeous and elegant. About Gurkha shorts: After Nepal’s defeat of the Anglo–Nepalese in the early 1800s, the Gurkha the Nepalese military, have been under UK. In spite of the fact, their fearless mind like “Better to die than be a coward” have been praised. 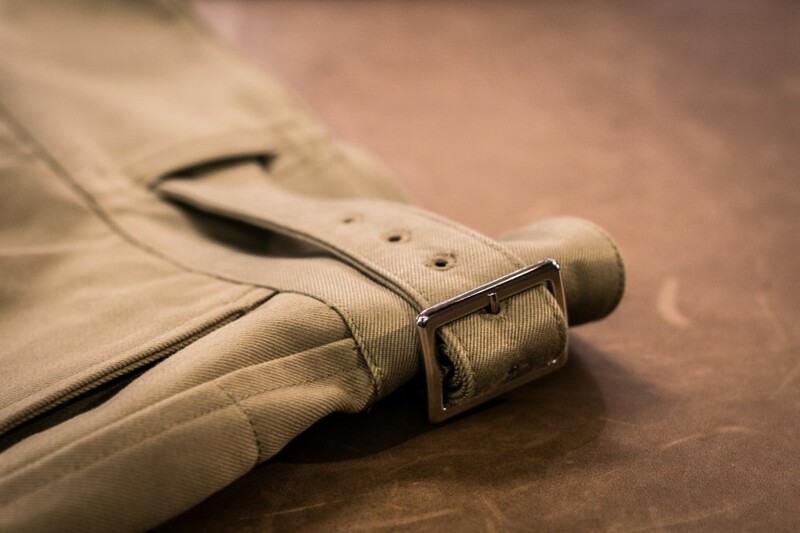 In the subtropical climate, the courageous soldiers were fond of wear a shorts with traits of dual strap waistband, barrel cut legs, high inseam, and row upon row of pleats. 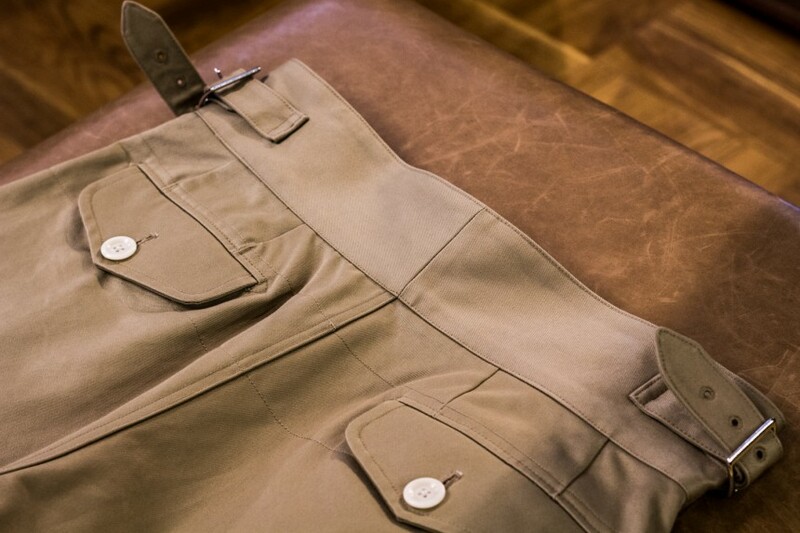 This is the origin of Gurkha shorts. 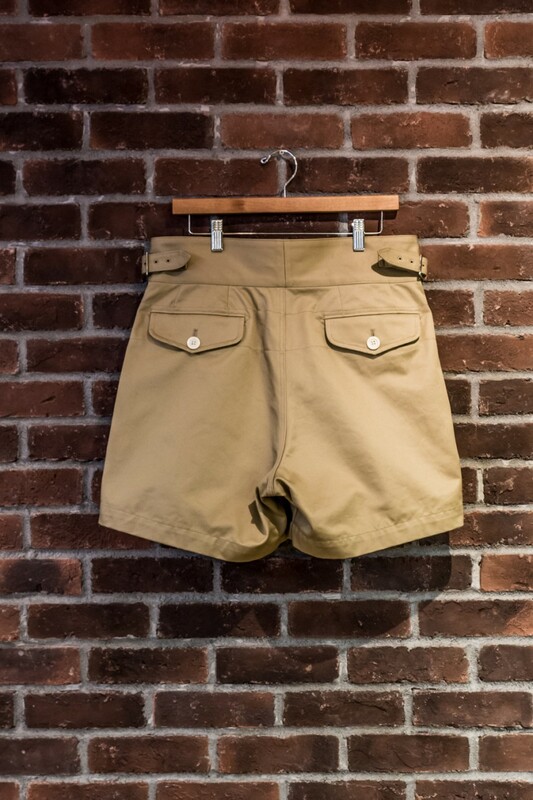 The shorts now have been adopted among militaries over the world like Britain, India, etc. 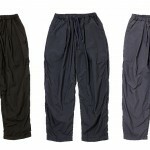 Find more about the pants from MAIDENS SHOP’s online shop. More photos available at our Facebook page.